Brooke N. Nelson is a native of Fairbury, Nebraska. 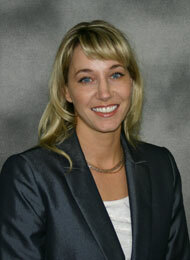 Brooke is a Certified Registered Nurse Anesthetist (CRNA) for Associated Anesthesiologists, P.C. Brooke earned a Bachelor of Science Degree at the University of Nebraska in 1999. In 2001, Brooke earned a BSN from Creighton University. Brooke completed her anesthetist training at the University of Kansas Medical Center in 2006 and shortly after became a licensed CRNA. Brooke has been with Associated Anesthesiologists, P.C. since June, 2011. Brooke is married and has two daughters and one son. Brooke enjoys outdoor activities and traveling with family and friends.